This makes $$$ and Sense! Priced under CV to sell! Angela is passionate about living in Greenhithe and has been active in the community for many years supporting her children through early schooling in the area, coaching sports teams, and participating in numerous community based activities. Angela and her family have truly embraced the Greenhithe lifestyle and she is proud to have raised her boys as locals. Angela brings a wealth of experience in delivering exceptional customer focused service. A background in sales and marketing, executive management and real estate has provided her with the ability to work with all types of people, all types of economies and all types of homes. Whether you are selling your home to enable you to fulfil new dreams, or you are wanting to find the perfect home in which to build a lifetime of memories, trusting Angela to partner with you is a privilege she is excited to share. 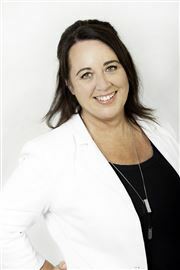 With her inclusive, creative, friendly & professional approach, Angela is committed to ensuring that her client’s individual needs are established and met through a truly personalised experience. Angela will always go the extra mile for you! Priced to Sell - Got to Go! More than meets the eye here!